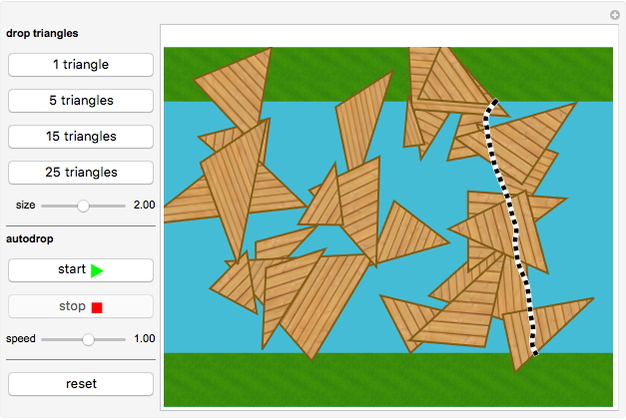 This Demonstration generates random triangles dropped between two green coasts. As soon as the two coasts are connected, a path through the triangles is drawn from one coast to the other. 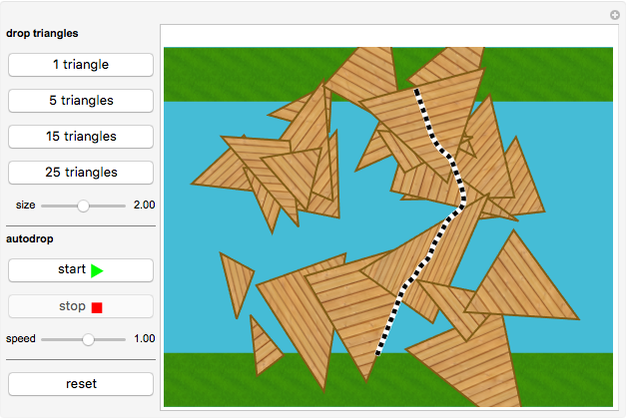 You can either drop different numbers of triangles or enable "autodrop," which drops triangles automatically. Click "reset" to start over. 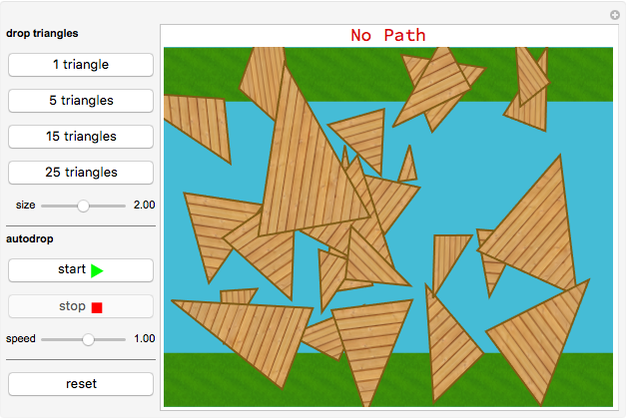 Aren Karapetyan "Random Triangle Path Finder"